RNDC, which is the second largest US wholesaler and currently operates in 22 states, has joined forces with small California based online distributor Liberation Distribution (LibDib) in a “strategic alliance” that will allow the two companies to expand into new markets using a web-based three-tier distribution system. The deal will see RNDC tap into LibDib’s technology and data collection capabilities, sharing data and technologies to provide both customers and suppliers with market access, modern selling tools, and a unique and diverse portfolio, while LibDib is set to use RNDC’s extensive logistic capabilities to grow beyond its New York and Californian heartland and allow spirit and wine makers the chance to access wider markets. The two companies are currently working together to integrate the technologies and complete the expansion. 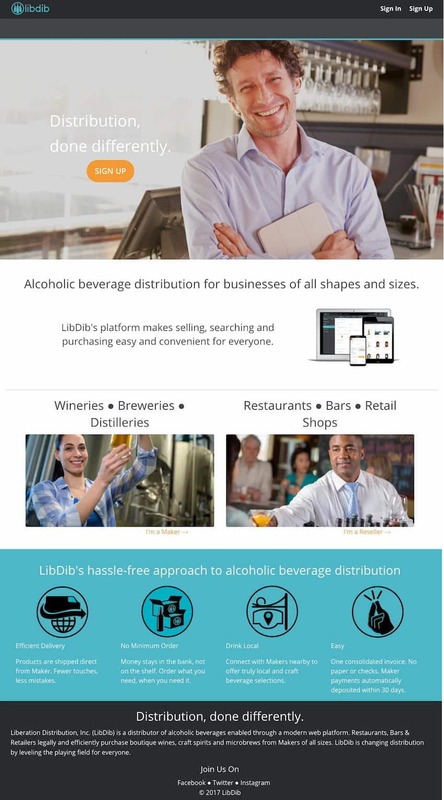 LibDib launched in March 2017, aiming to “level the playing field” in the complicated US booze market and allow smaller producers better access to the market. Founder Cheryl Durzy claimed at the time it was the first alcohol distributor that offered an online platform compliant with the US’s three tier system that would allow boutique wineries, craft spirits and micro-brewers to set up their own distribution. Tom Cole, CEO of RNDC said technology was evolving the US drink industry at an incredible pace, and innovation is the key to the future of wholesale alcohol sales and distribution. The specific markets being targeted have yet to be revealed. RNDC last year announced its merger with the US’s third largest distributor Breakthru Beverage Group, which is set to form the second largest wine and spirits wholesale company in the US if with sales of around US$12 billion, and a market share of around 22%.